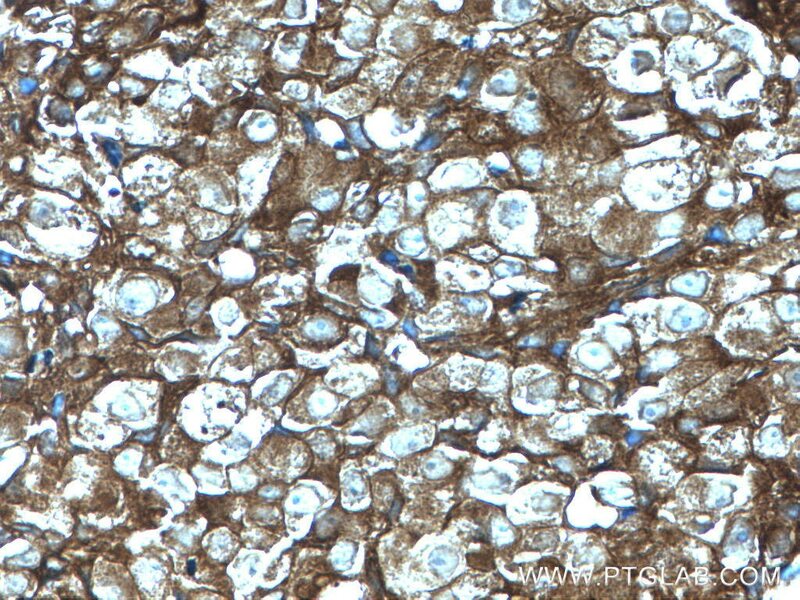 IP Result of anti-GDI1 (IP:10249-1-AP, 4ug; Detection:10249-1-AP 1:800) with mouse brain tissue lysate 4000ug. 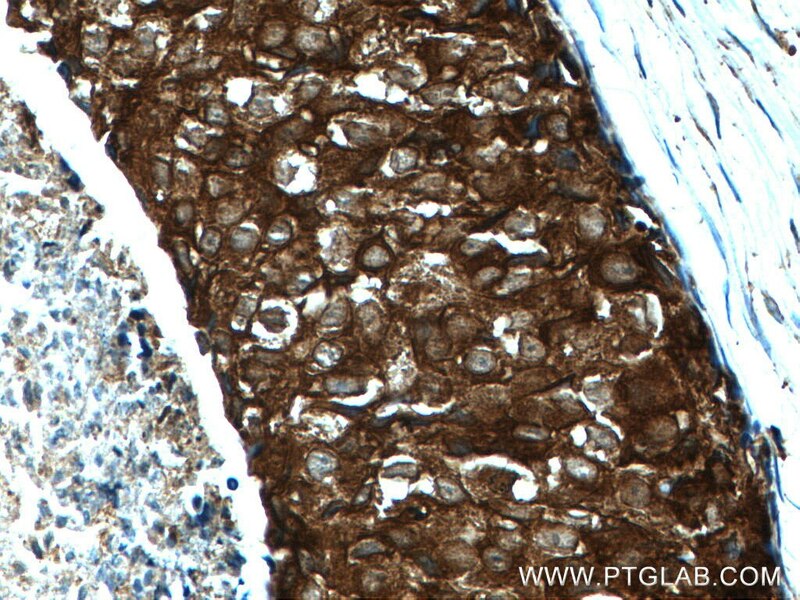 Immunohistochemical analysis of paraffin-embedded human breast cancer tissue slide using 10249-1-AP (GDI1 antibody) at dilution of 1:200 (under 10x lens) heat mediated antigen retrieved with Tris-EDTA buffer(pH9). 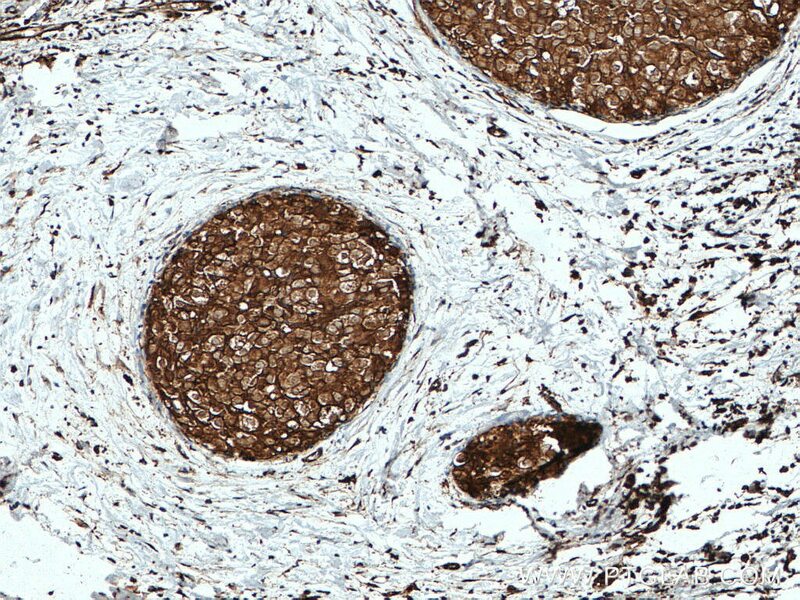 Immunohistochemical analysis of paraffin-embedded human breast cancer tissue slide using 10249-1-AP (GDI1 antibody) at dilution of 1:200 (under 40x lens) heat mediated antigen retrieved with Tris-EDTA buffer(pH9). GDP dissociation inhibitors (GDIs) are proteins that regulate the GDP-GTP exchange reaction of members of the rab family. GDIs can bind and release GDP-bound Rab proteins from membranes. Two GDI proteins towards different Rab proteins have been identified. GDI1 interacts with almost all of the Rab proteins, while GDI2 interacts with Rabll but not Rab3A. 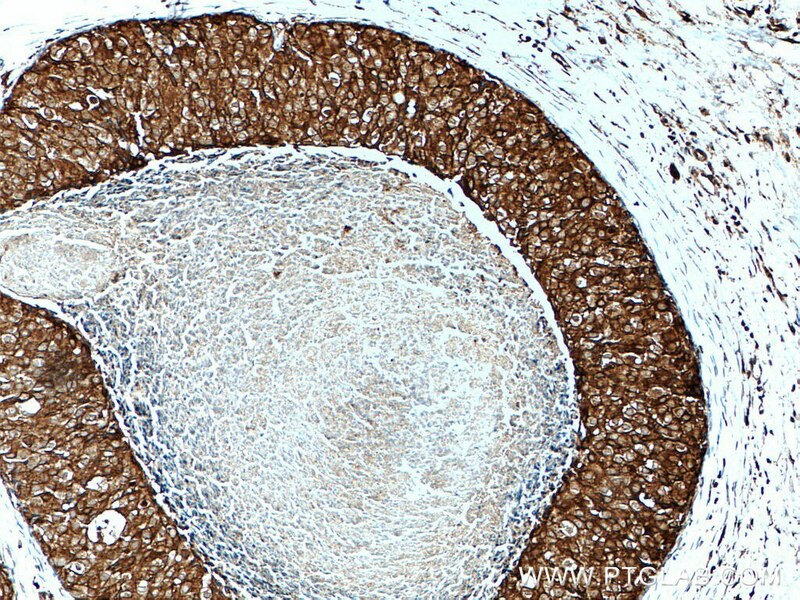 GDI1 is expressed primarily in neural and sensory tissues and also in secretory cells, displaying a diffuse, cytoplasmic distribution in cells. It runs as a 55kda protein in SDS-PAGE. 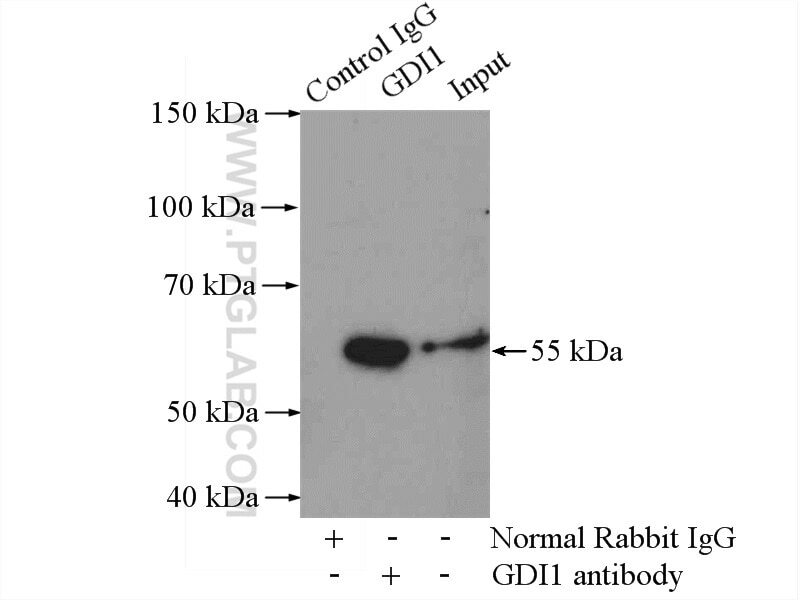 (PMID: 7929030,PMID: 19570034) This antibody can bind both GDIs for the close sequences. Disruption of Rab11 activity in a knock-in mouse model of Huntington's disease. Antibodies in patients with neuropsychiatric systemic lupus erythematosus. 2-D DIGE analysis implicates cytoskeletal abnormalities in psychiatric disease.